For Dr. Bravo, Plastic Surgery must achieve, as a final goal, the complete satisfaction of the patient with their result, maintaining at all times an adequate function and naturalness of the treated area, while guaranteeing their safety and wellbeing. Furthermore, the procedures must be adapted to the requirements of our present lifestyle which implies a reduction of the recovery times, without negatively influencing on the quality of the result. Modern Plastic Surgery is a specialty in permanent evolution, which requires a lifelong commitment to learning and research, in order to be up-to-date with the constant advances in the field: new surgical techniques and technological advances that provide the surgeon with new solutions, which may be more effective and safer for his patients. 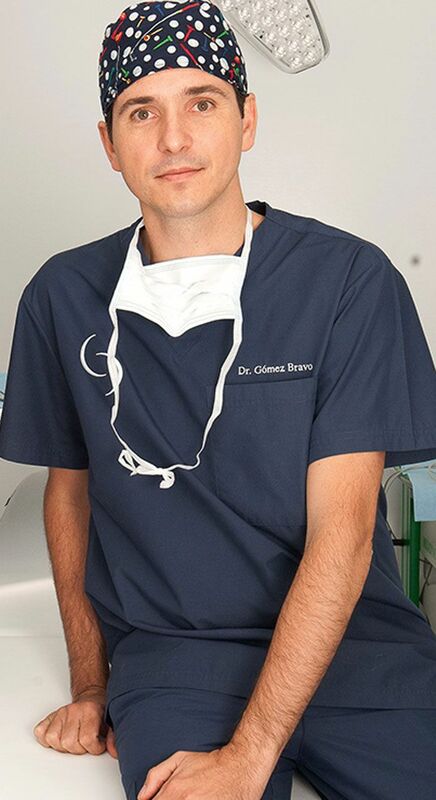 Aware of the great benefit, the improvement in quality of life and the personal satisfaction that an adequately indicated and executed Plastic Surgery procedure may provide, Dr. Bravo combines the scientific rigor of his profession with a caring and warm care, seeking always to improve his patient´s health and wellbeing. Furthermore, he considers that present-state and modern Plastic Surgery must pursue two objectives: results and naturalness, while preserving function in the treated area. As opposed to minimally invasive procedures, surgical options must achieve results that are evident and long-lasting. Most modern techniques, although often times more complex to undertake, generally achieve more natural results, avoiding the operated-look or the stigma of having gone through surgery, which are common with more conventional plastic surgery pro-cedures.